Noah Strycker is Associate Editor of Birding magazine, the author of four well-regarded books about birds, and a regular contributor of photography and articles to all major bird magazines as well as other media. Strycker set a world Big Year record in 2015, and his 2017 book, Birding Without Borders, relates the experience. His other books are Among Penguins (Oregon State University Press, 2011), The Thing with Feathers (Riverhead Books, 2014), and Birds of the Photo Ark (National Geographic, 2018). 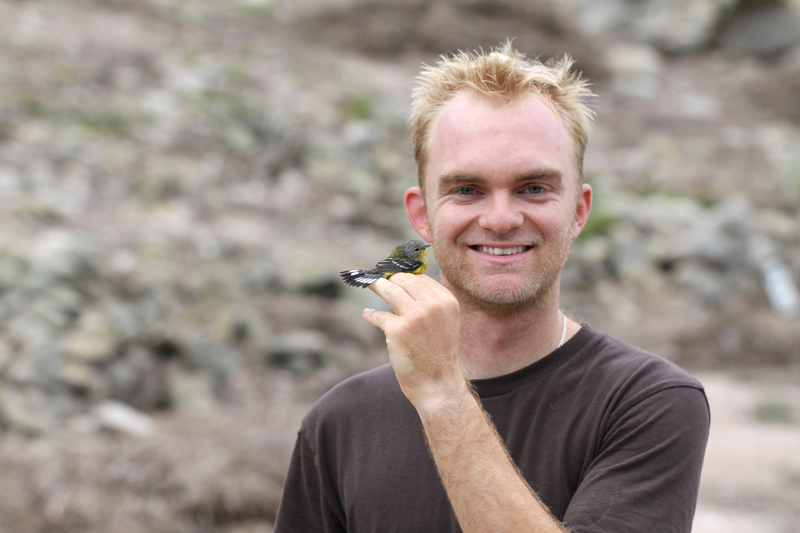 Strycker has studied birds on six continents with field seasons in Panama, Costa Rica, Ecuador, Hawaii, Maine, Michigan, Australia, Antarctica, the Galapagos Islands, and the Farallon Islands. He also works as a naturalist guide on expedition cruises to Antarctica and Norway’s Svalbard archipelago, literally spreading the inspiration of birds from pole to pole. Strycker is a competitive tennis player, has run five marathons, and hiked the 2,650-mile Pacific Crest Trail from Mexico to Canada. He is based in Oregon, where his backyard has hosted more than 100 species of birds.